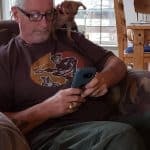 I get questions from readers about chihuahua puppies every week or so and so I thought it was time for an article on baby chihuahua facts. If your question isn’t answered here, please leave your question in the comments and I’ll add the question and answer to this post if I’m able to answer it. 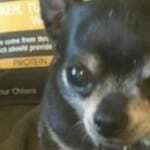 1- How Much Does A Chihuahua Puppy Weigh At Birth? 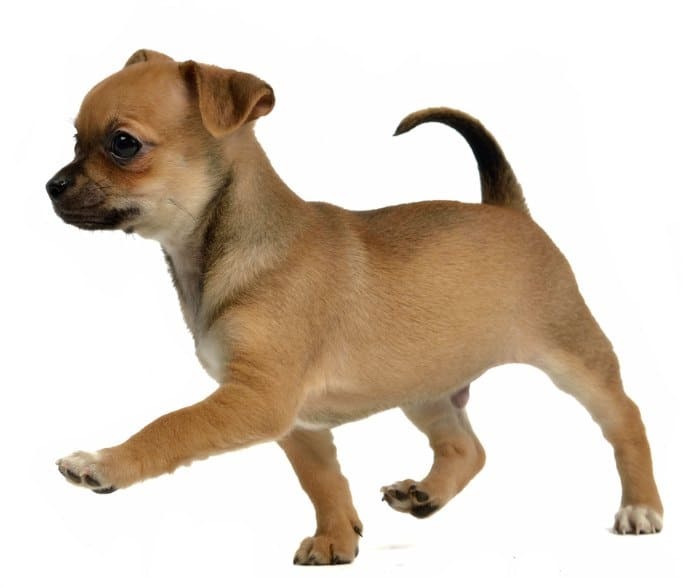 A chihuahua puppy will usually weigh between 2 to 6 ounces at birth. 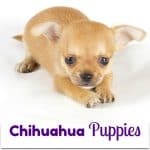 That may sound tiny but chihuahua moms still often need to have a Cesarean section because the puppies’ heads are large in comparison to the rest of their size. 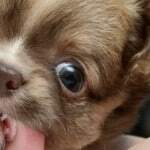 2-When can you tell a puppy’s eye color? 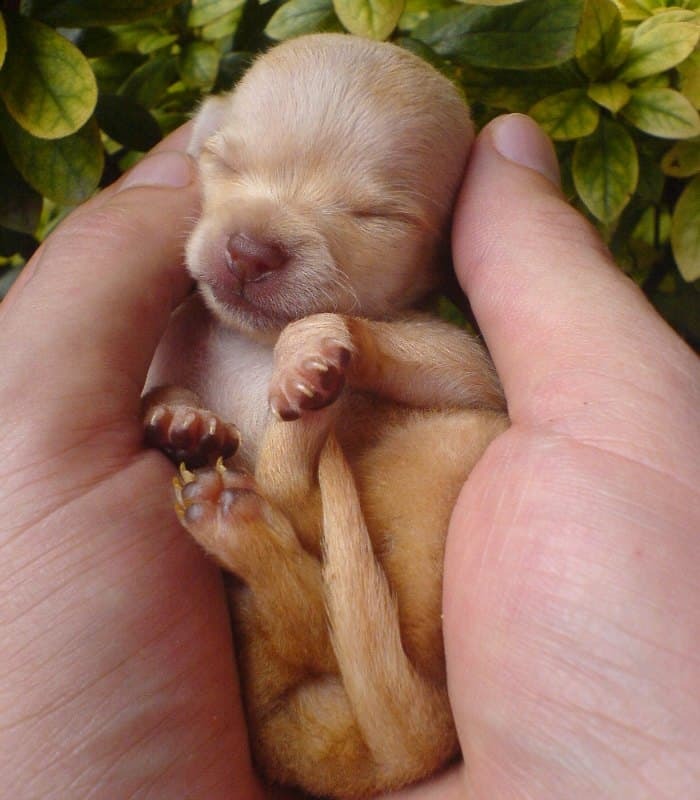 Many puppies have blue eyes when they first open their eyes. But their eyes can also be other colors such as gold, green, gray or brown. Usually they are paler when they are young puppies but change to their permanent color between 9 to 16 weeks old. 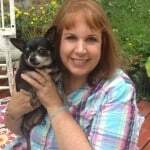 3-When Will My Chihuahua’s Ears Stand Up? The ears usually start standing up at around 3 months old. Some days one or both will be up and the next day one or both will be down. It takes a while before they stay up for good. If they haven’t stood up by 6 months of age, then they probably aren’t going to stand up at all. And that’s okay. 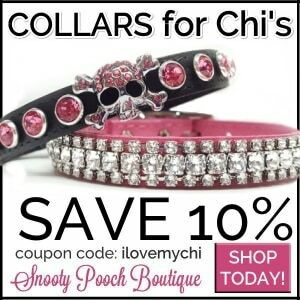 Some chihuahuas have floppy ears and they are just as cute and lovable as any other chihuahua. 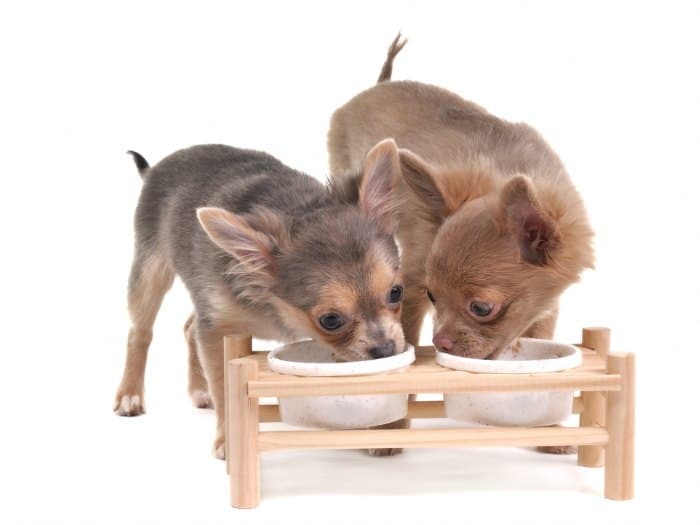 4-How Often Should I Feed My Puppy? It depends on the age of the puppy, but usually feed them 2-4 times a day until they are a year old. 5-How Much Should I feed My Puppy? Puppies should have 50 calories per day per pound of body weight. Puppies sleep between 16 and 20 hours a day. 7-When Will My Puppy Sleep Through The Night? 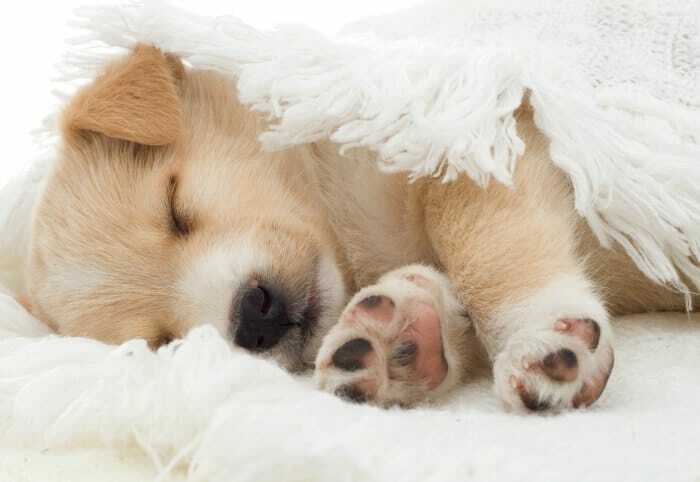 Usually by 4 months, puppies should be able to sleep through the night. But if there is an upset in their routine (if you just adopted him, if you are travelling overnight, etc.) it may take longer. Establish a bedtime routine for her and be sure to take her out to potty before bed. She may need to be let out again for another potty break sometime through the night. 8-When Will My Puppy Stop Growing? Most dogs are full grown by the time they are a year old though they will fill out some more within the next year. A few puppies will grow a little more and stop at 18 months old. 9-Is It Normal For My Puppy To Have A Soft Spot On His Head? Yes, it is. It’s called a Molera and in most cases it will close up on it’s own by the time the puppy is a year old. In some cases though, the Molera never closes up. 10-When Should I Start Potty Training My Puppy? 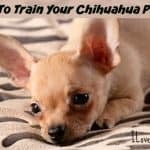 You should start house training as soon as you get your puppy. It’s a long process, so be consistent and have patience. 11-When Will My Puppy Stop Teething? Puppies tend to like to chew for most of their first year. When the baby teeth start falling out at around 4 months old, the urge to chew on everything will increase. The adult teeth should all be in by 8 months of age when the urge to chew starts to decrease. 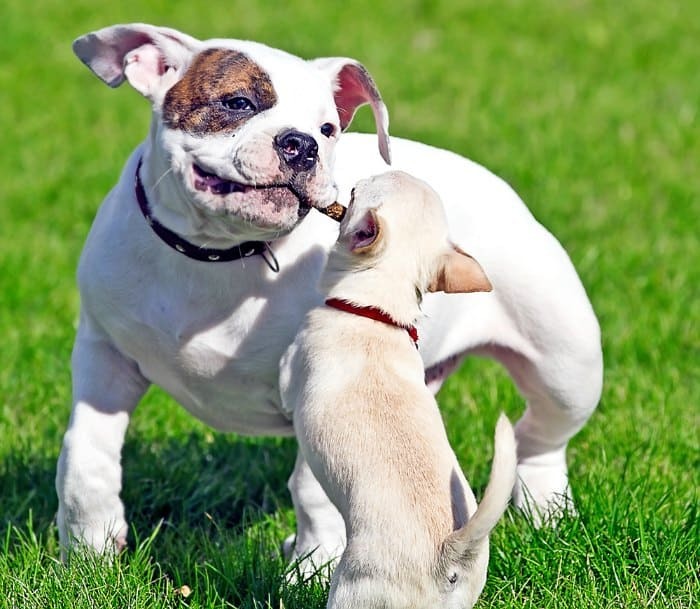 Of course, most dogs of every age do like to chew, so be sure to have some chew toys around for them. Did you know puppies have 28 baby teeth and adult dogs have 42. 12-When Should I Socialize My Puppy? You should start introducing your puppy to humans and other dogs, cats and other species if they will be around them, pretty much as soon as you get your puppy. Do let him settle in first for a day or two. But the earlier the better. Always supervise your puppy when he’s around other animals and children. Okay, that’s it. If you have a puppy, I’d love to see a photo of him or her. Leave it in the comments along with any questions of you have about them. 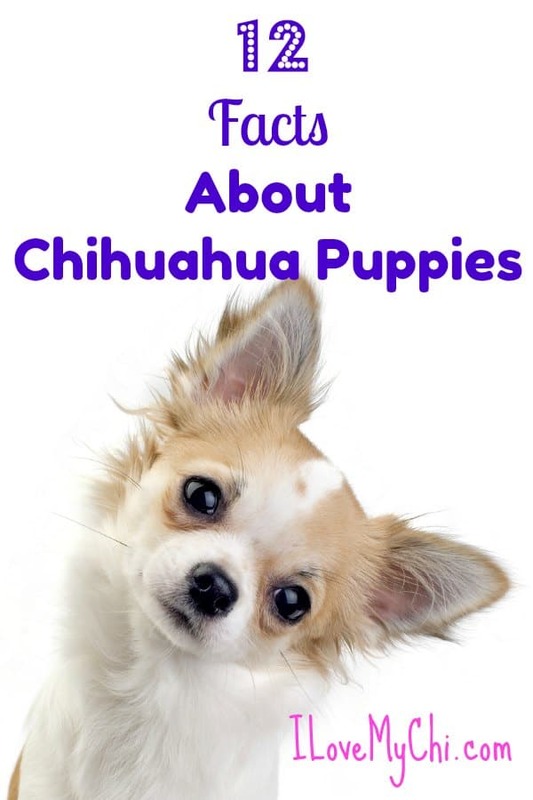 Also we have another article with even more chihuahua facts. now. 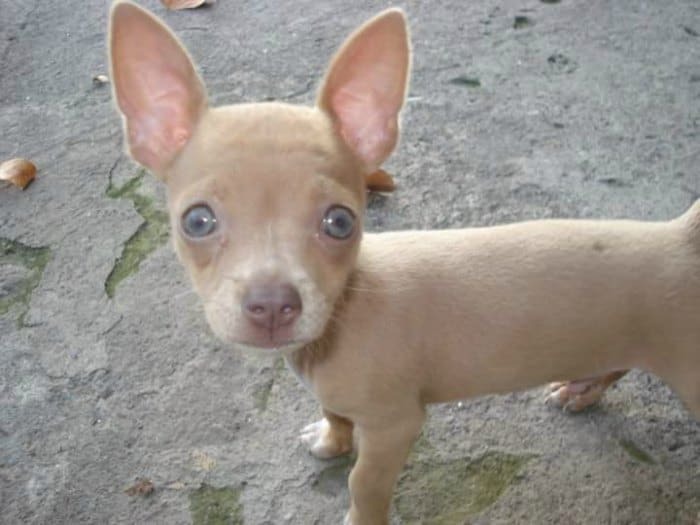 My husband and I are getting a chihuahua puppy the week after New Years. We can’t wait to bring her home. The breeder has been sending me pictures of her every week. We live a distance from her. We found our breeder on the AKC site. Of the great information and wonderful pictures that you share with everyone. How exciting Cathryn! Puppies are so much fun. 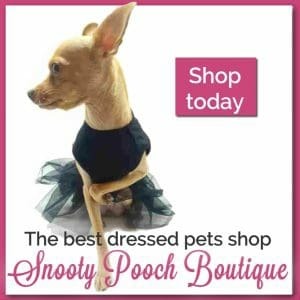 Be sure to send photos once you get your little one. Our little girl Merida is just 13 weeks old and loves any and every cell phone. This poor girl survived parvo and then pneumonia. I direct a rescue, and the little of 7 Chi’s came to us at 8-weeks of age. Only 4 of the 7 actually contracted the parvo. Amazing! That is such a cute photo! It’s funny she likes cell phones. Wonder what she’s thinking when she’s looking at them? Your welcome Maddy. Luna is a beauty! Yikes, I have no way of finding that info now. I’m sorry Joanne. The only thing I can think of to do is to put a post up on the FB page asking if she would contact you.